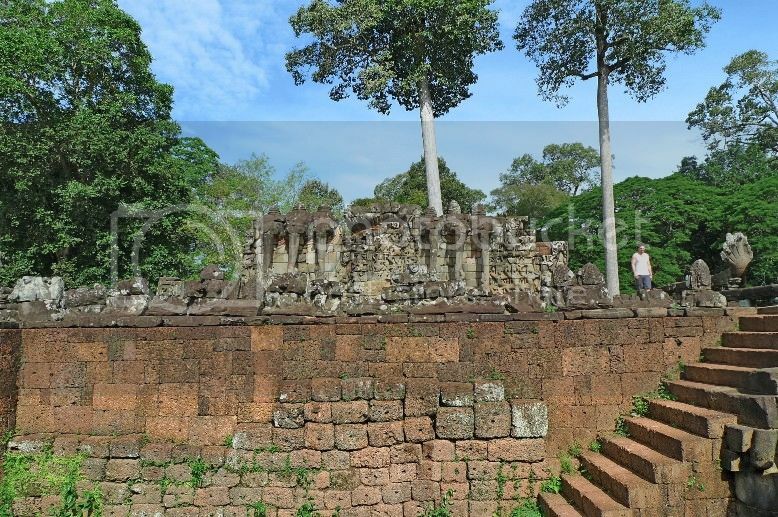 After the rather disappointing tour of Baphuon (as it was still under restoration works), Jam, his friend and I proceeded to our next destination - The Terrace Of The Elephants. 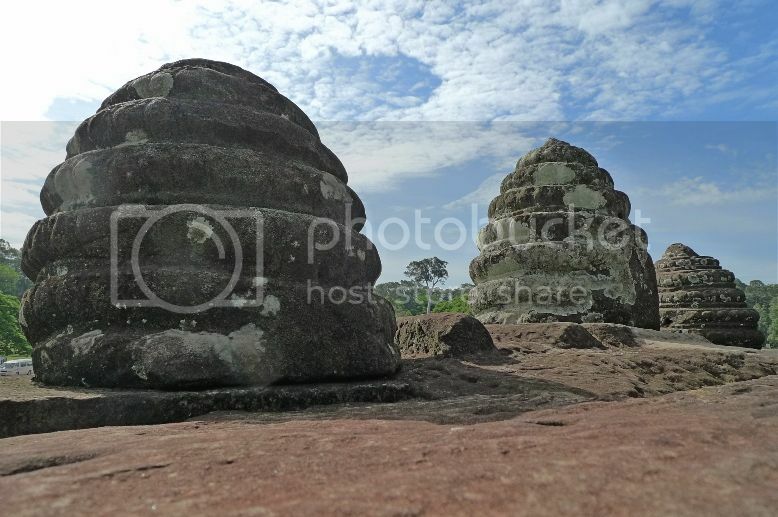 As it is located just next to Baphuon in the city of Angkor Thom, we just walked over. 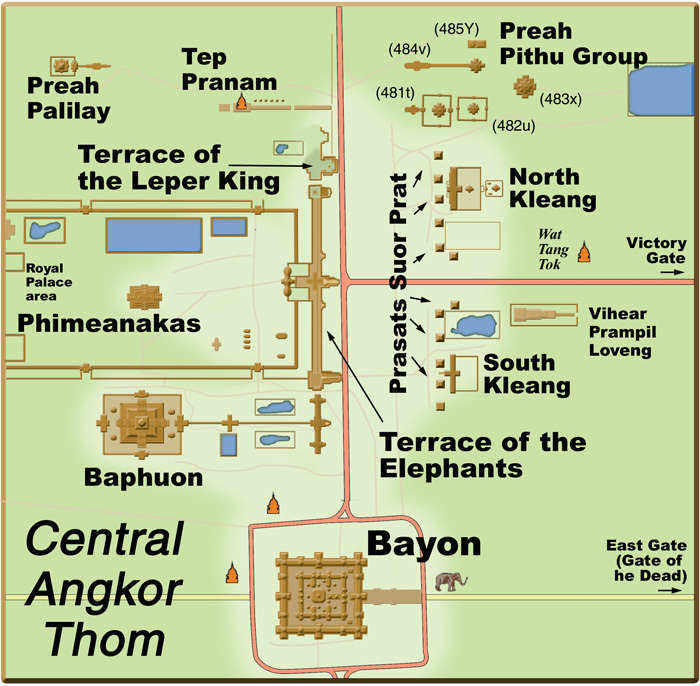 Can you see how near is Terrace Of The Elephants from Baphuon in the map below? 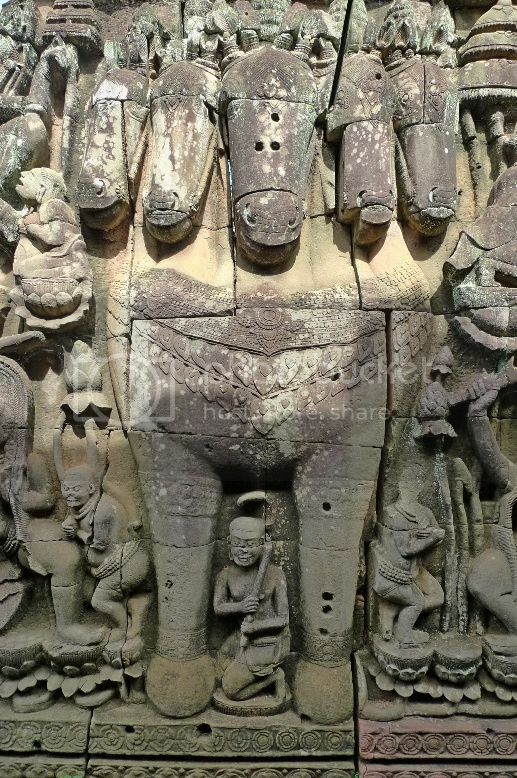 So why was it named Terrace Of The Elephants? 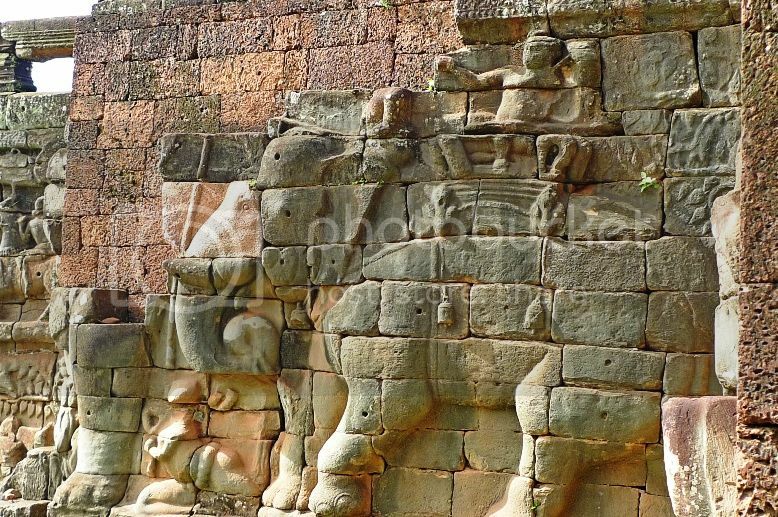 Well, that's because there were intricate carvings of elephants on the terrace wall! 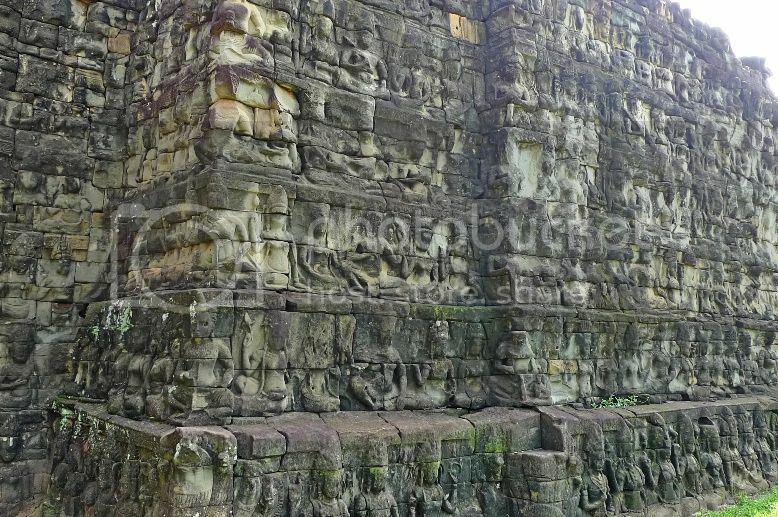 Built in the late 12th century by King Jayavarman VII in the Bayon architectural style, the Terrace was used by the King as a platform from which to view his victorious returning army. 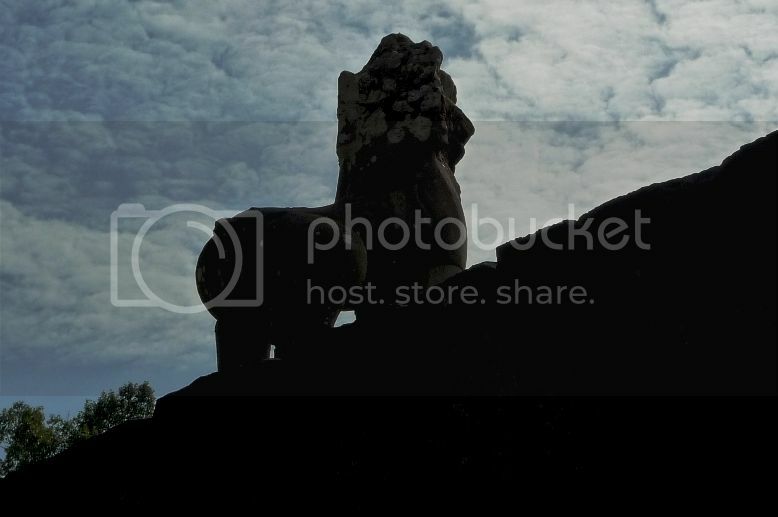 It was also said to be used as a viewing stand for public ceremonies as well as served as a base for the king's grand audience hall. 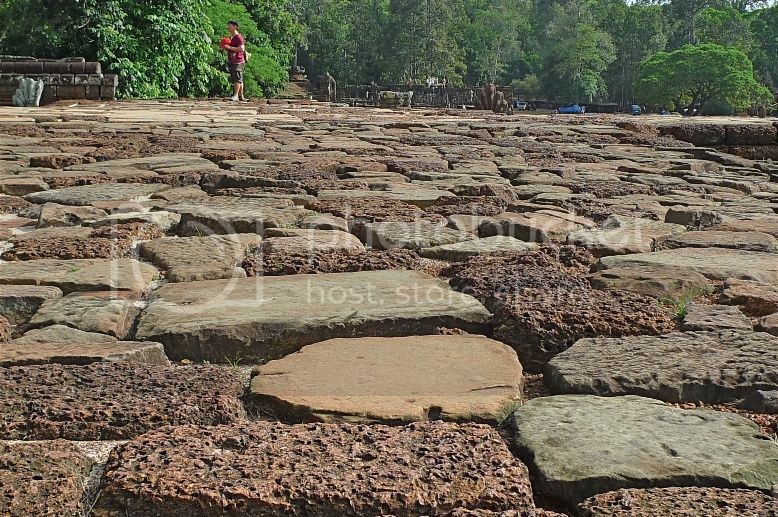 The terrace wall is approximately 2.5 metres tall and 350 metres long. 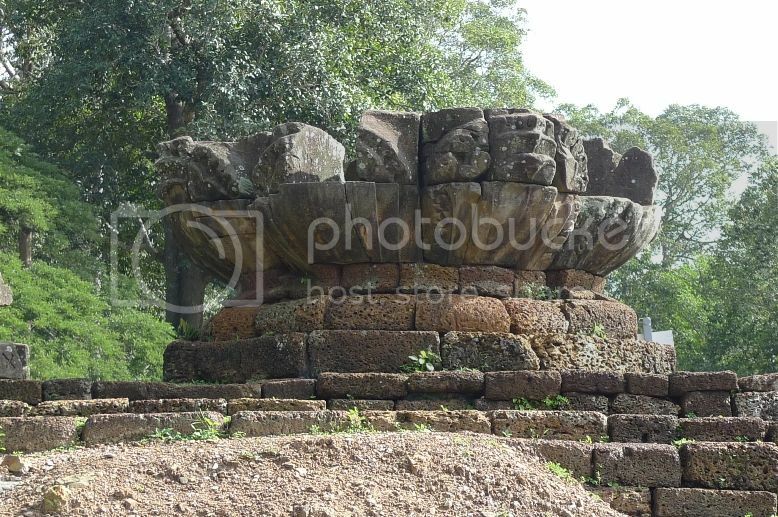 It is attached to the Phimeanakas Temple of which only a few ruins remain. 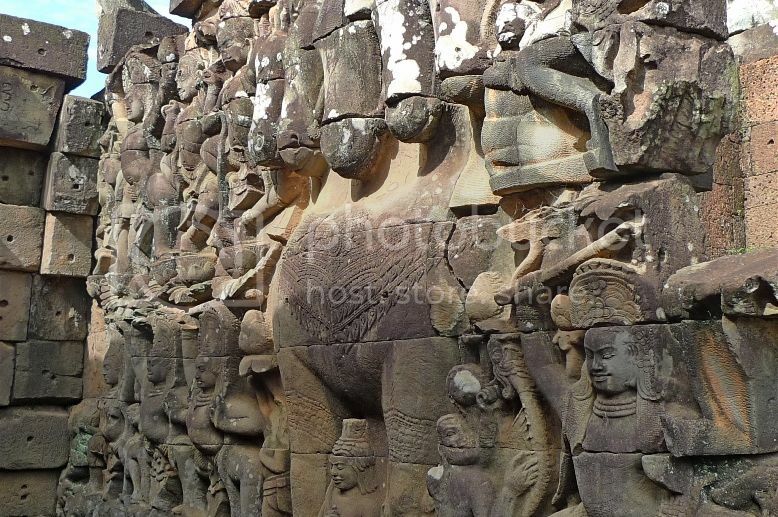 Besides elephants, the terrace wall was also carved with nagas (7-headed serpent), demons and garudas. 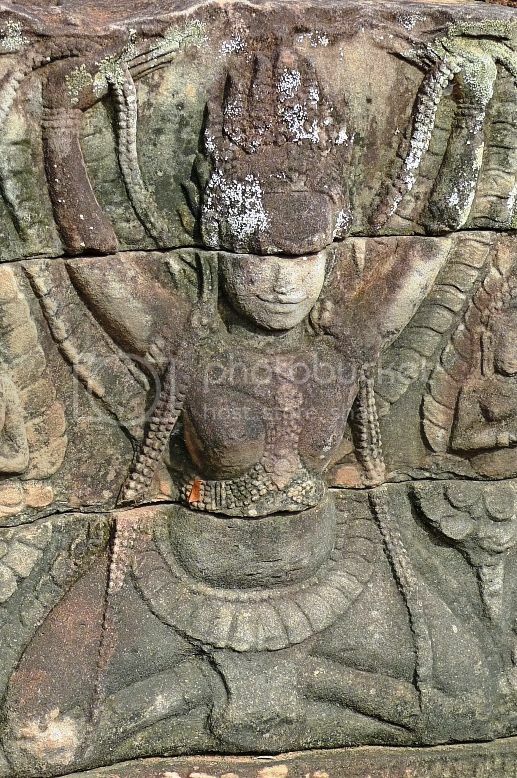 Garuda is a large mythical bird that appears in both Hindu and Buddhist mythology. 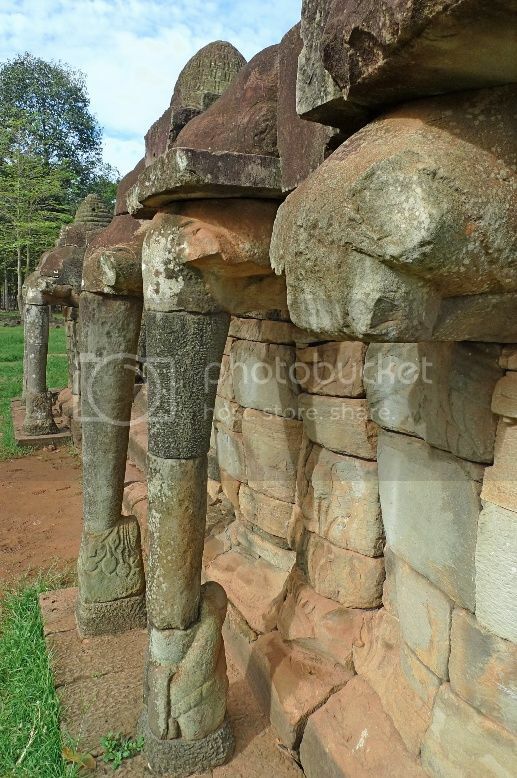 Walking along the terrace platform with naga railings, I spotted many more carvings. There were stairs leading up to a higher platform. 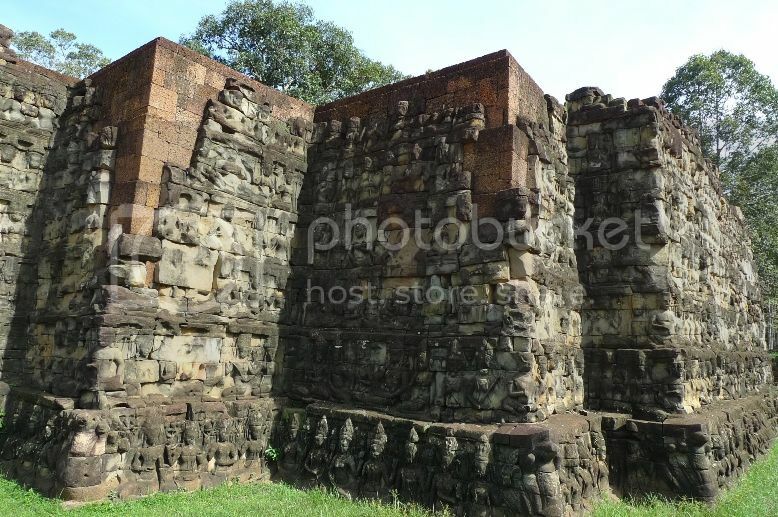 We soon reached the entrance to the Phimeanakas Temple. As the Phimeanakas was not part of our itinerary, we did not venture inside. 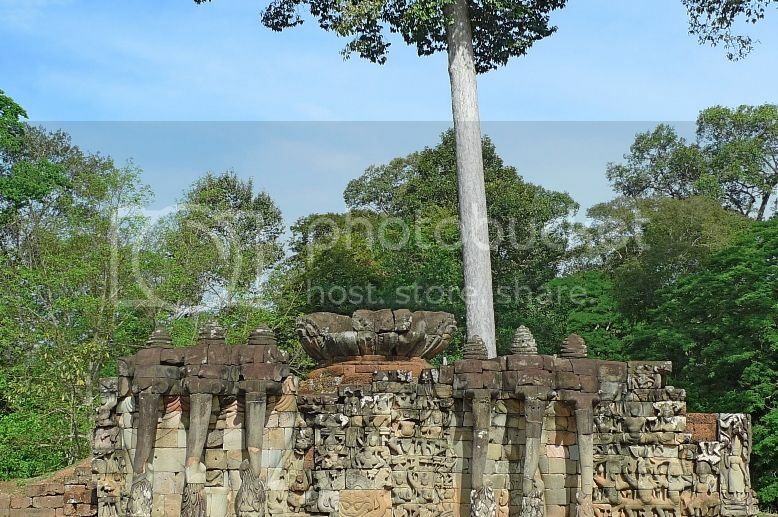 I just took some photos of the gate. 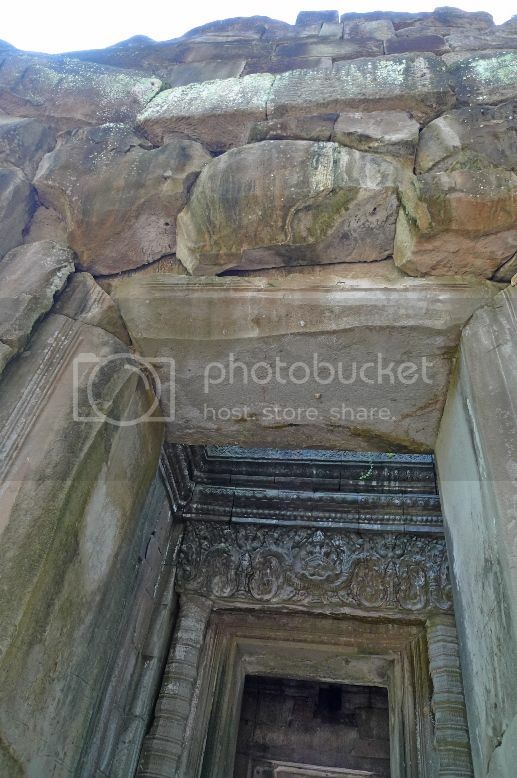 There were some intricate carvings on the structure. 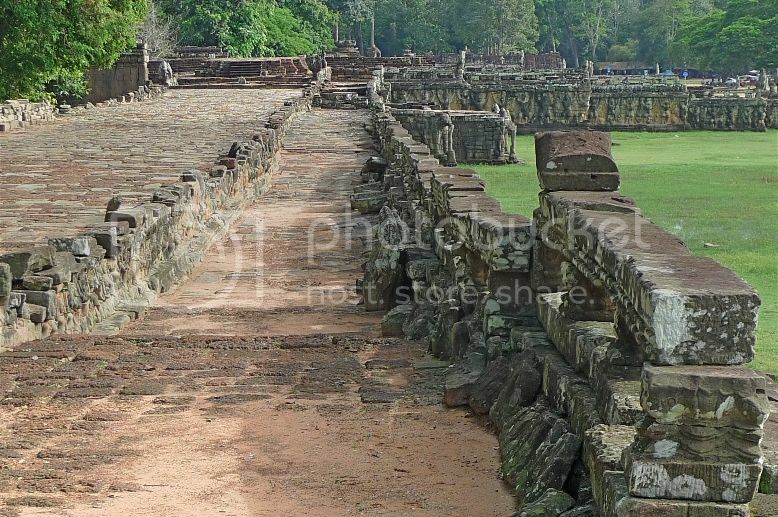 We left the Phimeanakas gate and continued to walk on the terrace platform. 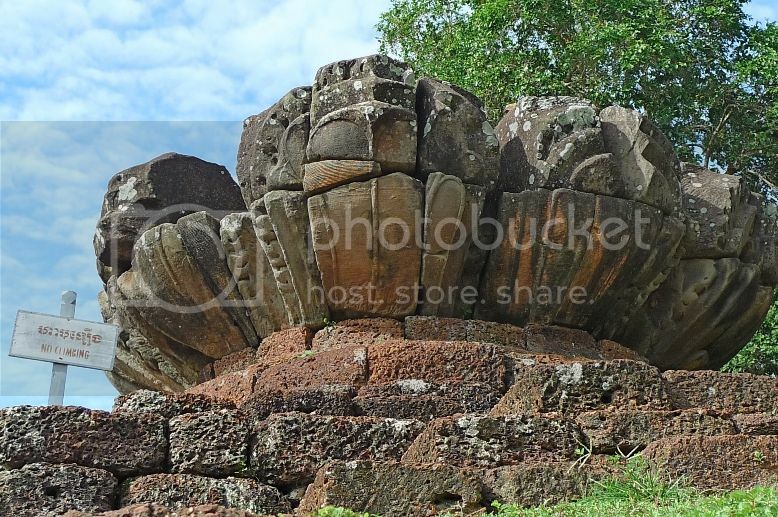 Then I saw what looked like a lotus flower made of rocks! I wanted to climb higher but there's a warning sign with the words "No Climbing". Oh! What are these? Would you like to take a guess? Actually they are the top parts of the elephants' heads! Haha! 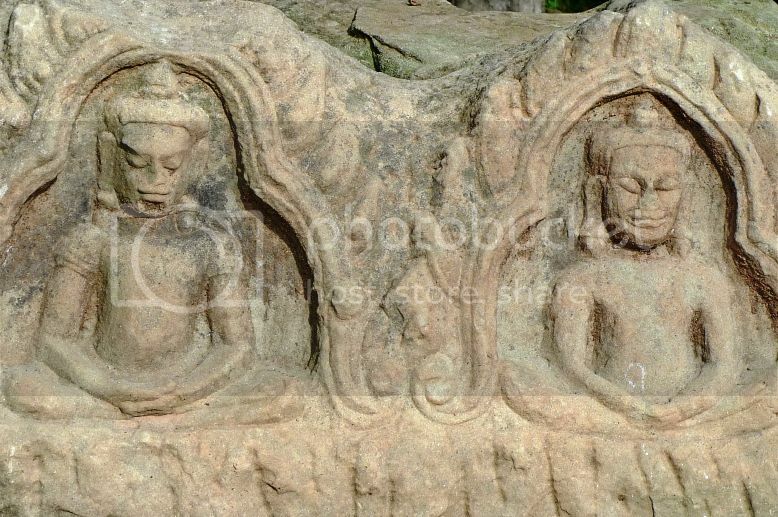 Can you see them in the photo below together with that lotus flower in the middle? 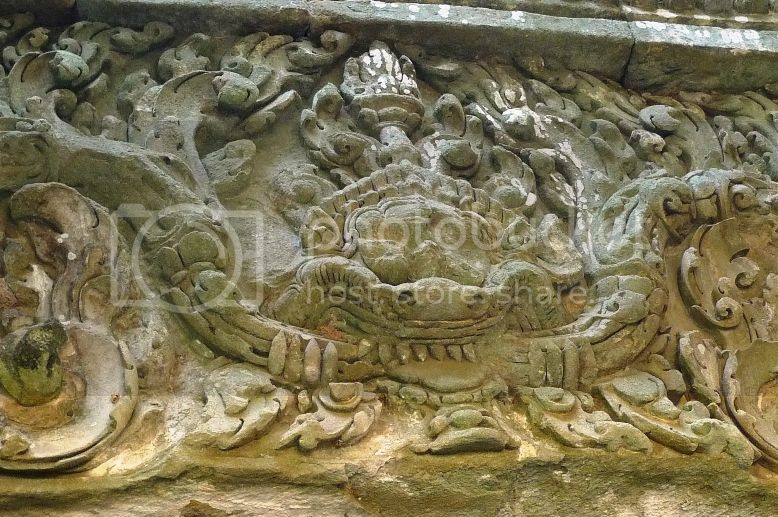 At the side of the terrace, there were many more intricate carvings. 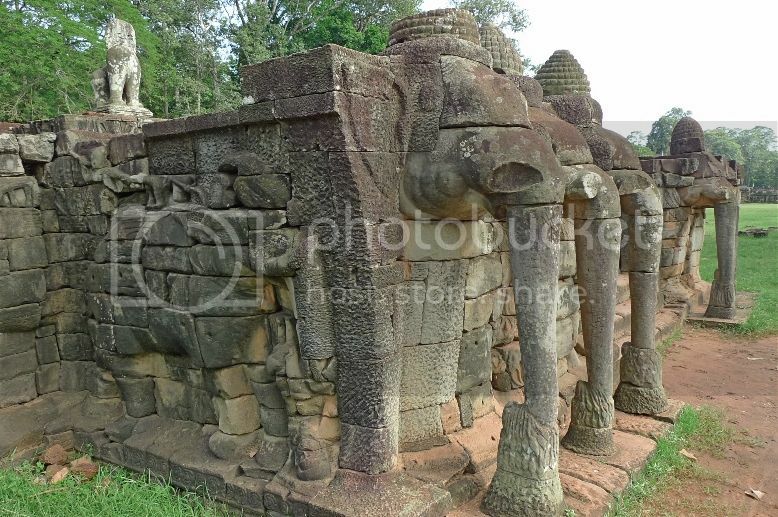 Can you see the image of an elephant and its mahout here? 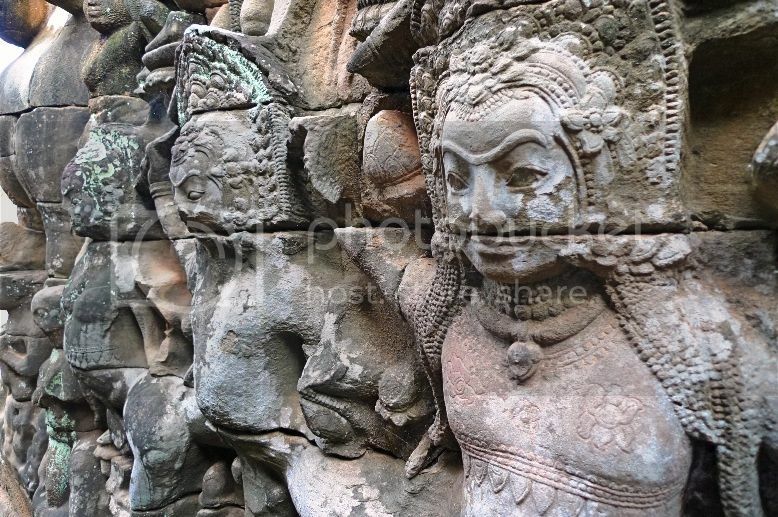 I was quite amazed at the carvings on the front terrace wall! There were stairs leading down and we decided to descend those steps. At the bottom, I could see this five-headed horse. And I thought they only have seven-headed serpent! Picture of the five-headed horse from the side. 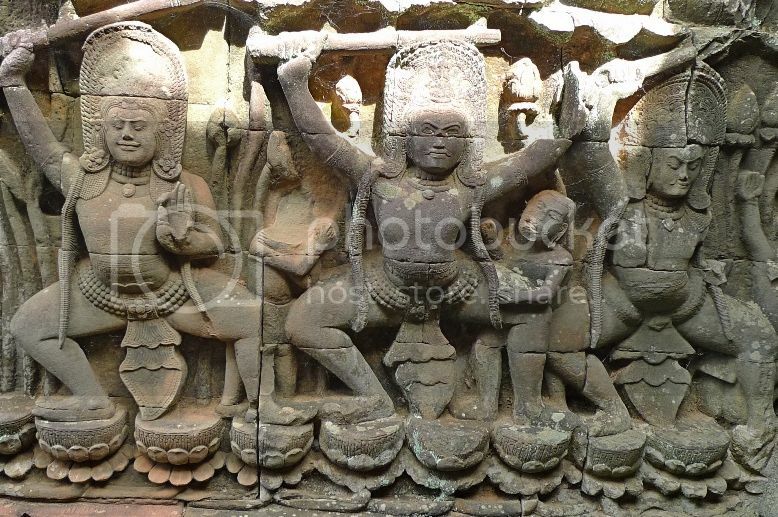 There were also carvings of what looked like dancers. I came upon a very narrow passageway and felt a little claustrophobic so I decided not to stay too long there! Then from where I stood, I saw a silhouette of Simba, the Lion King! Of course it was no Simba. Haha! 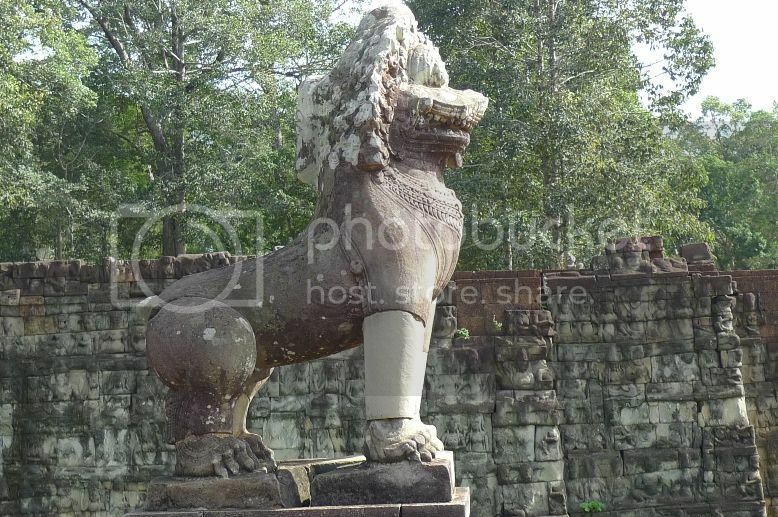 Climbing up the stairs and back at the top, I realized it was a life size lion statue. 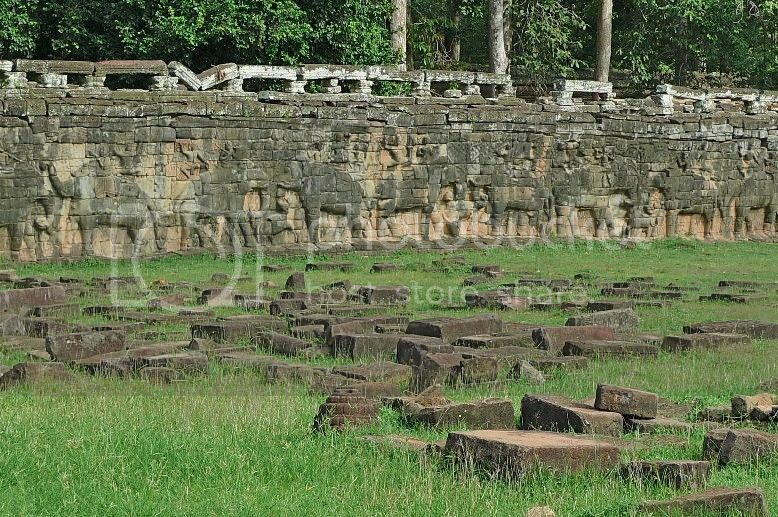 It's best to visit Terrace Of The Elephants before noon as the wall faces east, hence you get the best lighting for photography. 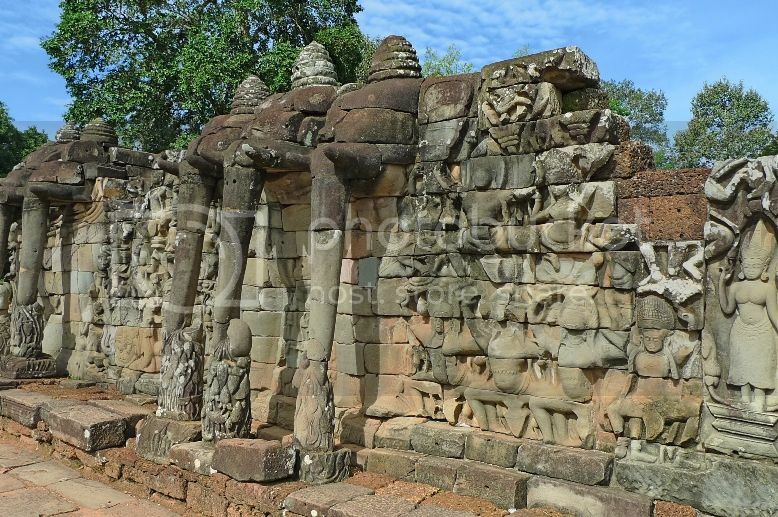 Next to the Terrace Of The Elephants is the Terrace Of The Leper King. It was not in our itinerary but since it was nearby, we just walked over and took some photos. 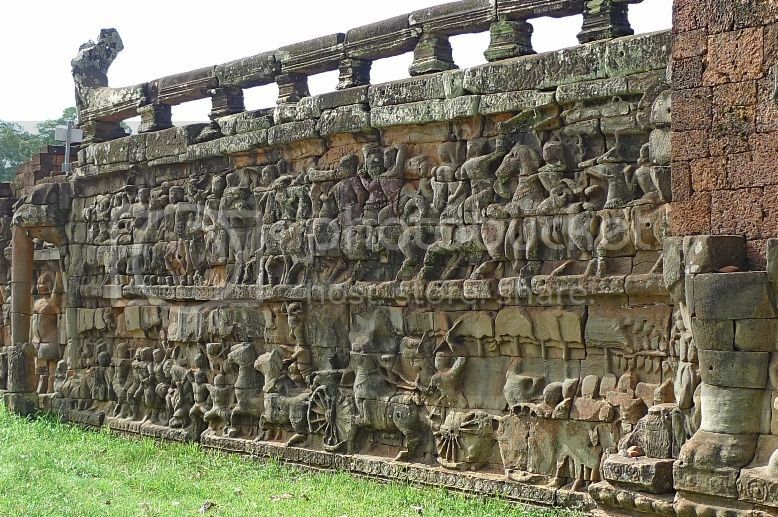 The terrace wall also displayed a lot of intricate carvings. 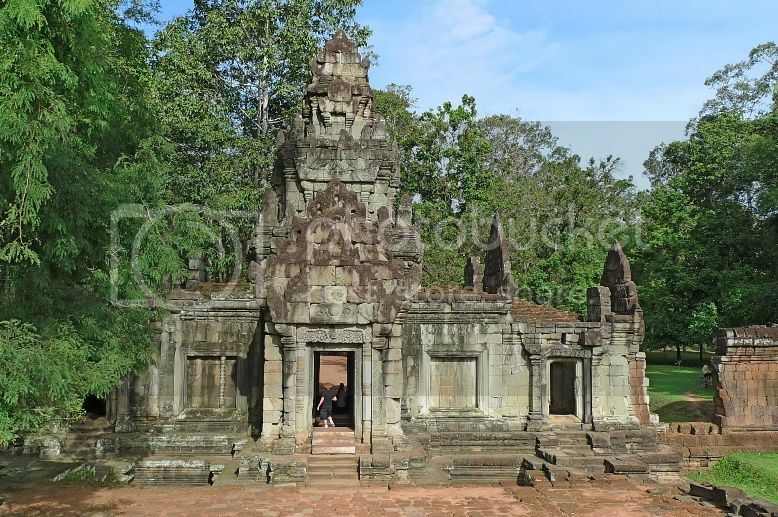 There is supposed to be a statue of the Leper King at the top of the terrace but we did not have the time to climb up, so I did not take any photos of it. 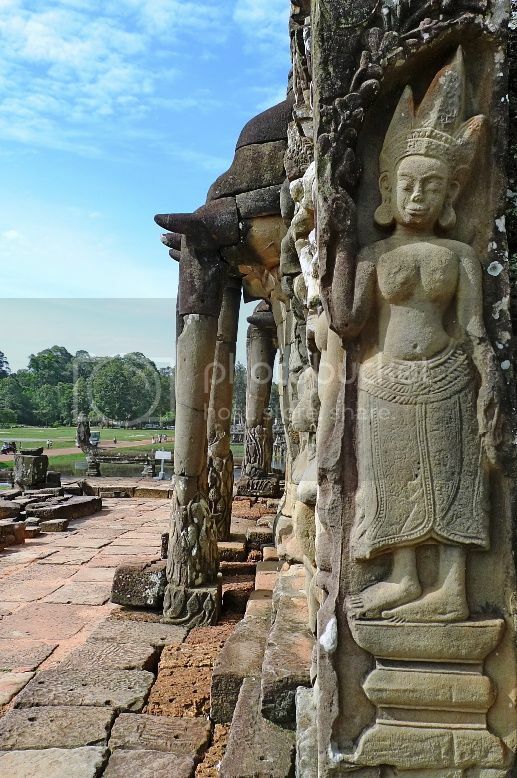 It was late in the morning by the time we left Terrace Of The Elephants and Terrace Of The Leper King. 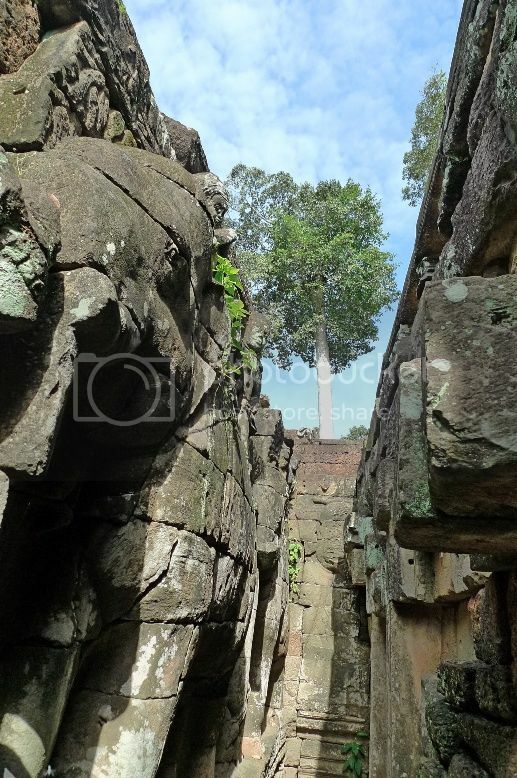 That was the last time I stepped my foot in Angkor Thom.